Seattle’s Decibel Festival has just announced the full lineup for their 10th annual installment. This definitely looks like it’s going to be a year to remember – take a peak, inside. One of Seattle’s most eagerly anticipated grassroots, volunteer-run, annual music events is just peaking over the horizon – and what a sight. While last year’s Decibel Festival attracted a record 26,000 attendees to over 50 different unique events, this year’s lineup promises to make the festival’s 10th anniversary the grandest installment to date. The festival is set to take place September 25th – 29th all over Seattle, and will include artists such as Moby, Green Velvet, Speedy J, Nicolas Jaar, XXYYXX, and The Helio Sequence among the 126 confirmed performers. 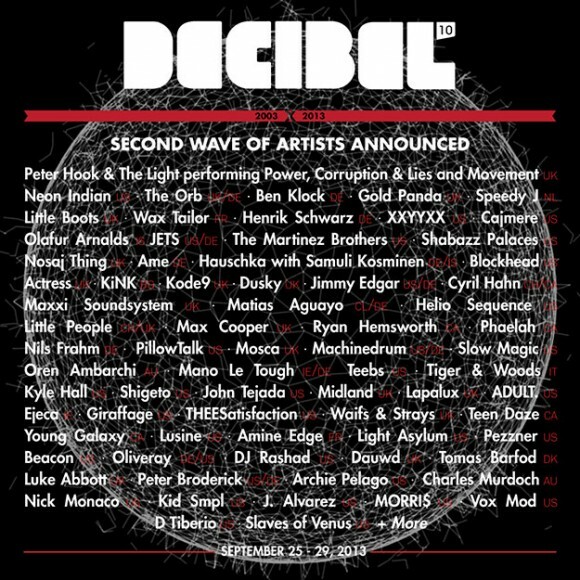 According to the festival’s homepage, Decibel Festival’s curator and founder believes that this year’s lineup represents their “most complete program to date”. Take a look at the festival’s lineup and promo video below, and don’t forget to buy your tickets while they’re still available.